Ask him how he is…he won’t bite and neither will I.
Hi my name is Jack. I am a working dog. I received no special training like a guide dog or a police dog. My job is to help my owner, he has Parkinson’s Disease. It’s not a secret, he doesn’t hide it, and he knows how difficult it can be for you, to ask him how he is…he won’t bite and neither will I.
I see how tough it is for the people that love him, when the day is a struggle, walking is tough and his hand is shaking. You don’t want to ask him for fear of the answer, or the tears that may come. It’s easier for me, I am a dog; I put my head on his lap and he knows that I love him. When I first came to live with him, it scared me, I couldn’t understand why some days he was fine and others seemed like a disaster. I loved him unconditionally (it’s a dog thing!!) but did not know him or why this was happening. I gradually discovered that he still likes the things he always has, rugby, sports, reading, wine, history and bizarrely cats. I slowly (I am a dog!!) realised that the disease had not changed him, that his greatest fear is to be defined by the disease. He was always candid, direct, quick to laugh, the changes you see are him maturing. So if I can see the man that he is and always was, so can you. Ask him how he is…I promise he won’t bite and neither will I. If you want to read more of my story please Share, Like and Follow. < Previous Sometimes he walks funny…and people stare at him..
Next > Not a dog’s life… It’s a Mom’s Life! 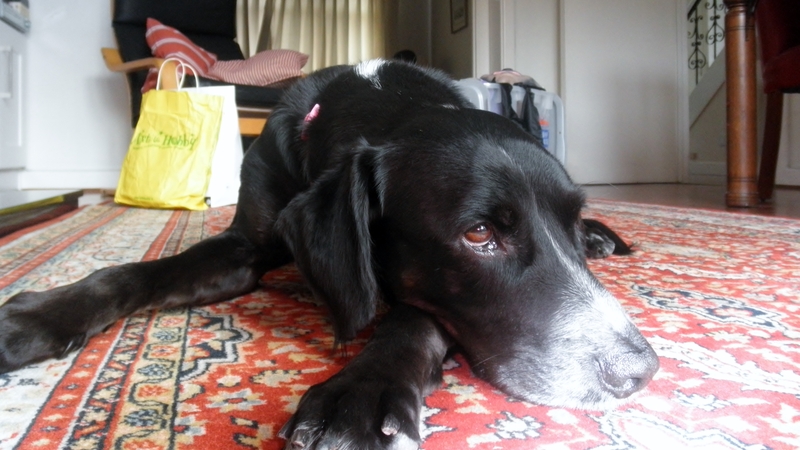 Reblogged this on Jack… A Dog's View of Family life Living With Parkinson's.